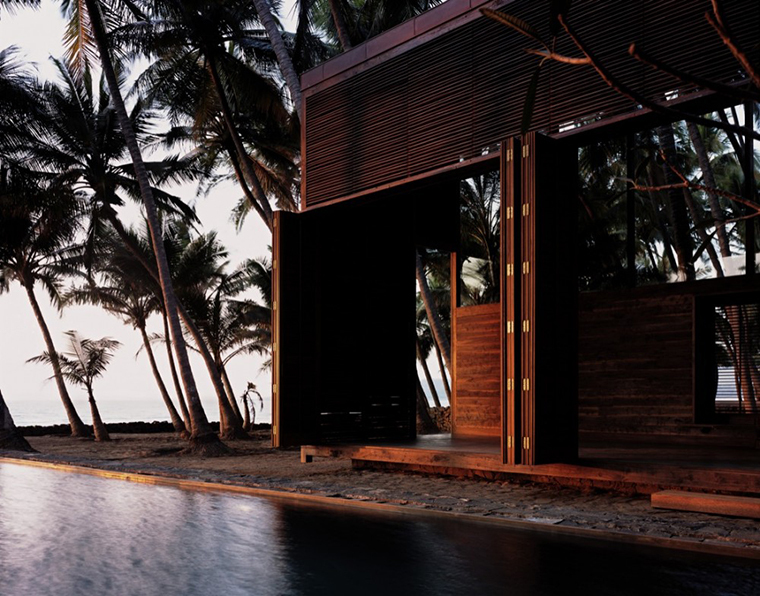 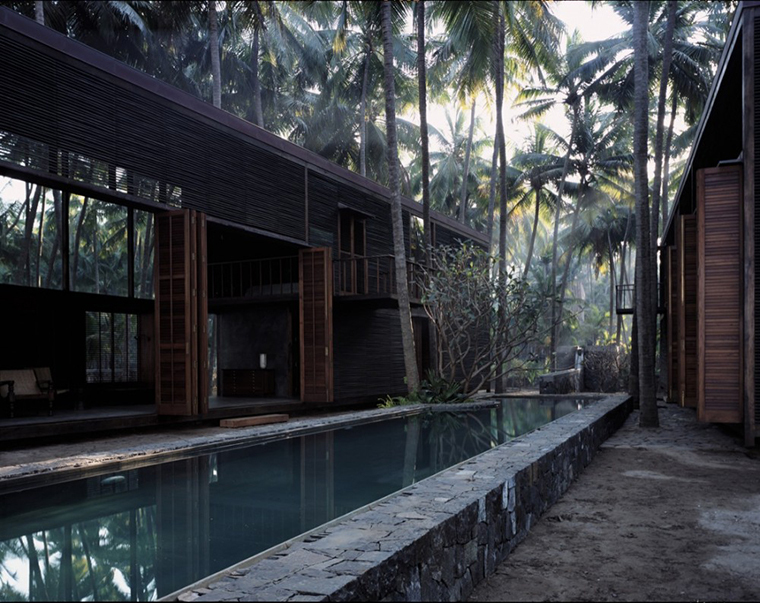 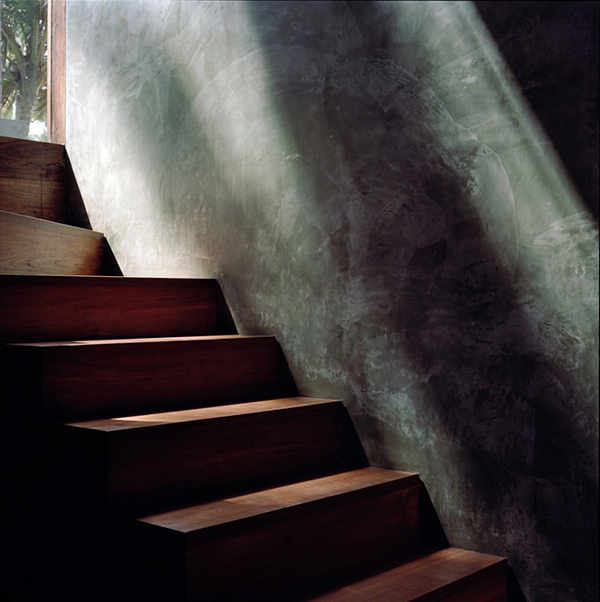 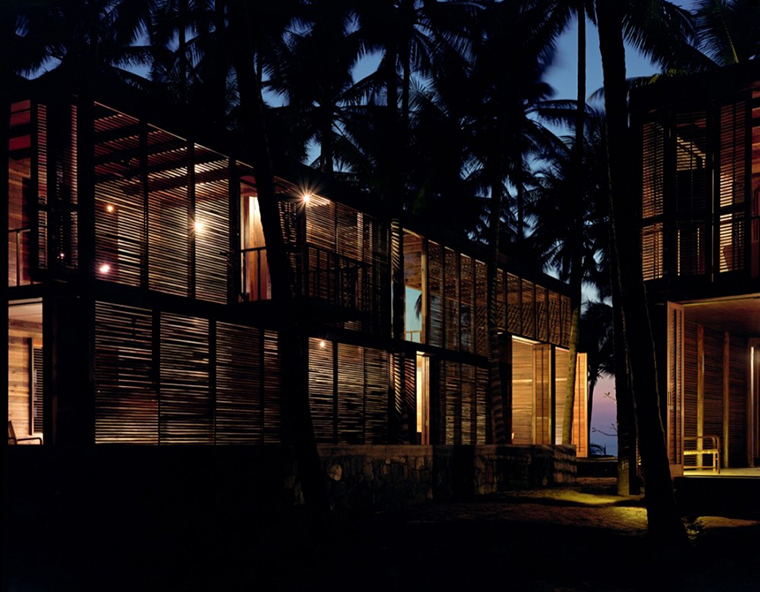 Located outside of Mumbai on the Arabian Sea, Palmyra House was built as a refuge from the bustle of the busy city. 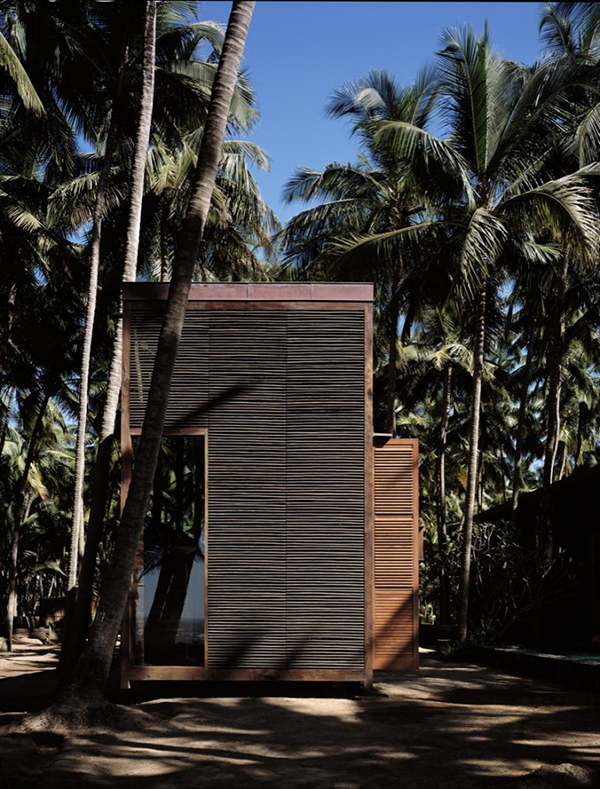 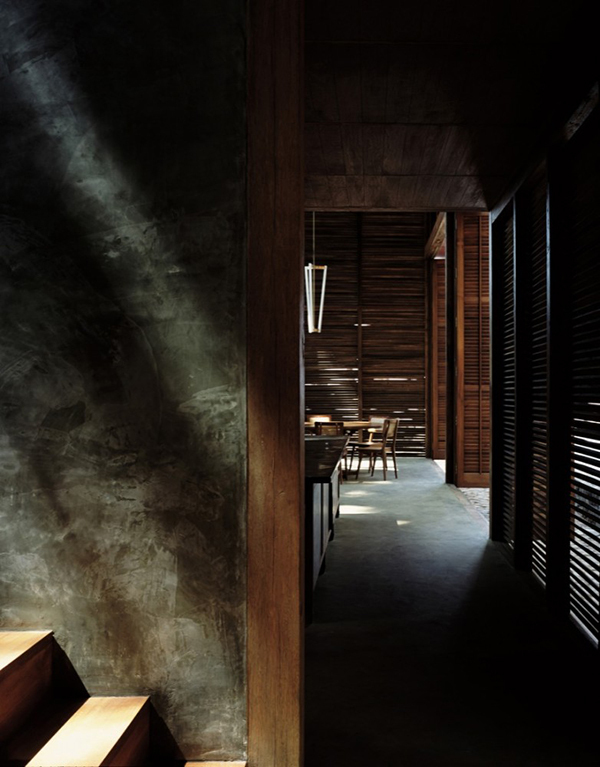 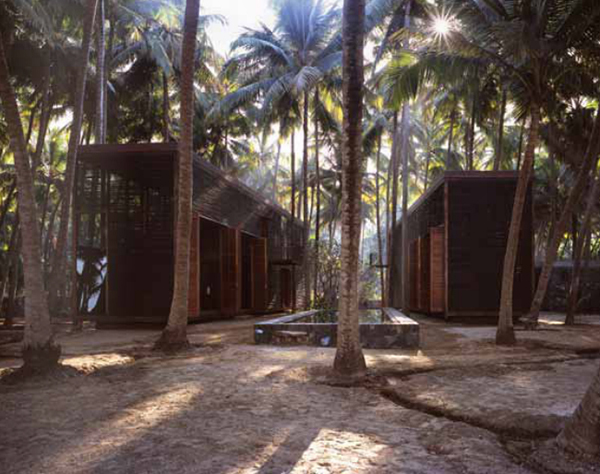 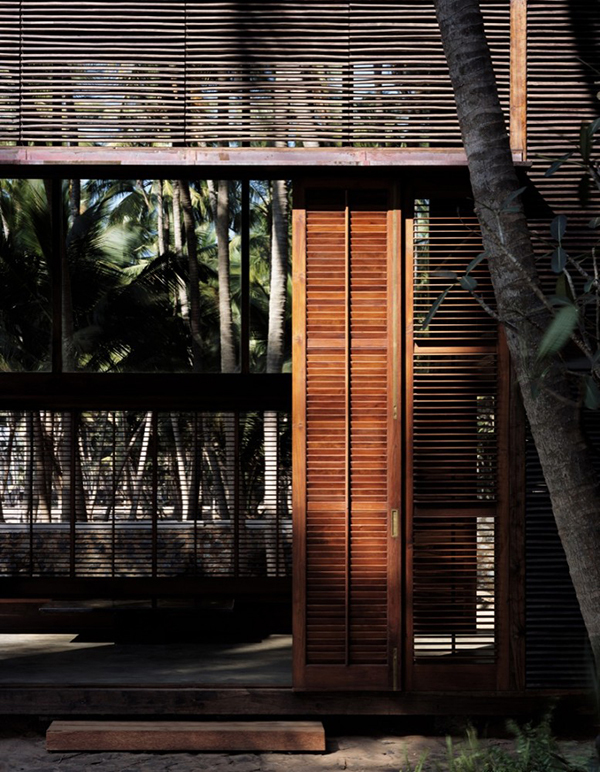 The 3000 sq ft. house consists of two wooden louvered structures set inside of a functioning coconut plantation. 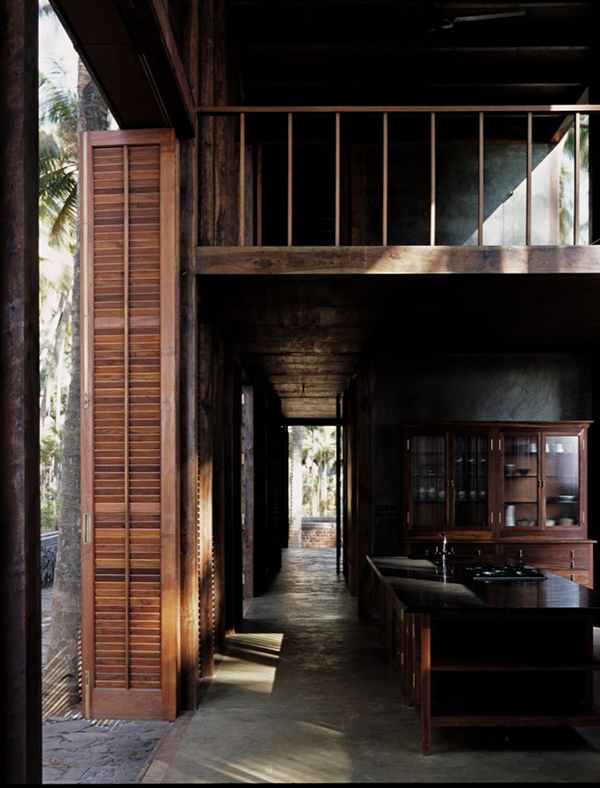 Anchored to stone platforms, the structures overlook a network of wells and aqueducts that weave the site into an inhabitable whole. 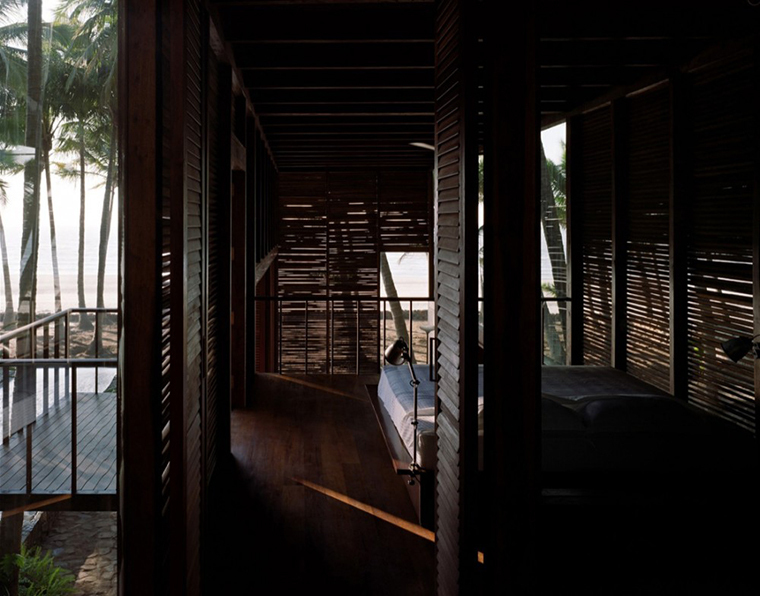 Living room, study and master bedroom are contained in the north volume, while the south volume contains the kitchen, dining, and guest bedrooms. 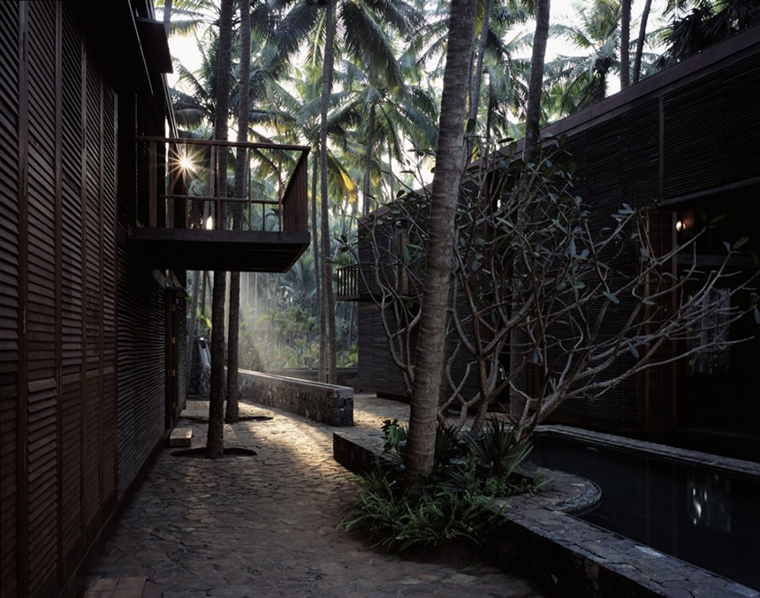 Set in the plaza between the buildings, the pool provides a channel for swimming, with expansive views of the sea to the west and views into a dense foliage of palms to the east.